← Should Church Ministers be Leaders or Servants? Today I am joining with others on a Ministers retreat day and I am really looking forward to it. I have to be honest though. I am not always good at making the time to press pause and to allow myself the space to connect with God in the stillness and to refresh and deepen my relationship with him. As an activist, making time to stop doesn’t come naturally to me but I really do understand and value the importance of it. I was struck recently how much the crowds fanatically followed and never left Jesus alone, that is until he made time to pray. In Mark 6, Jesus and his disciples traveled to a remote place for some peace and quiet but when the crowds pursue them Jesus has compassion on them and so he taught them. Later that day he miraculously fed the 5000 men plus women and children who were there with just a few loaves and fish. Following this Jesus sent his disciples in a boat to the other side of the lake and he dismissed the crowd before going to pray up a mountainside. I’ve never really thought about this before but why does the crowd that won’t leave Jesus alone suddenly leave him alone? Is it because he said he was going to pray and they respected his space or was it to do with it usually being late night or early morning so that there weren’t so many people around? Perhaps it was to do with people wanting to experience miracles and life changing teaching but them definitely not wanting to participate in prayer which perhaps they had been led to believe was fairly dull? We can only guess at the answer but what seems obvious is that Jesus needed time to connect with God his father. If the son of God needed time away from it all to connect with his heavenly father then I am sure that we all do! I’m looking forward to today as a gift of rest at the end of a busy few weeks. I’m looking forward to today as an opportunity to talk with God. I’m looking forward to today because we are currently reflecting on our values as a church and it will be a great opportunity to use some of the day to listen to God about who he wants the people who make up Orchard Baptist Church to be. 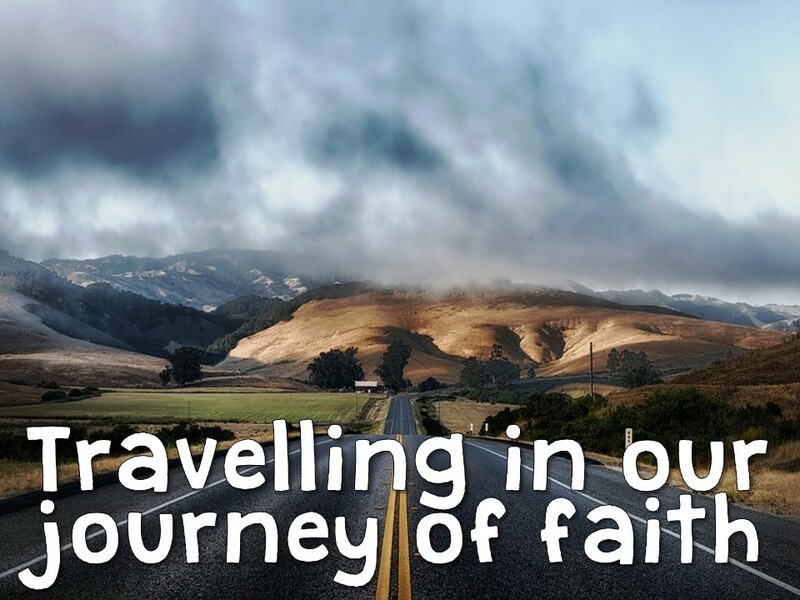 One of our values is that we are ‘Travelling in our journey of faith’. We don’t consider ourselves to be a people who are perfect or who have arrived but we do want to be open for what it is that God has next for us. I thank God for the opportunity to pause today and for the part that it will play in the next part of my own and the journey of Orchard Baptist Church. This entry was posted in Blessed to be a blessing, Faith, Following Jesus, Life experiences, Listening to God, Prayer, Relationship with God, rest, restoration and tagged do we understand what prayer is?, find rest in God, making time for what is important, pause, quiet Day, retreat, sabbath, spiritual retreat, time to stop, what gives you rest, work from a place of rest, working from a place of rest, you are not a salmon. Bookmark the permalink.